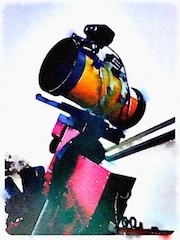 The Tzec Maun Foundation provides free access to Internet Telescopes to students and researchers. 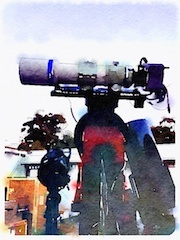 We have professionally maintained telescopes in dark locations. Currently we are operating telescopes near Coonabarabran, New South Wales, Australia as well as in Cloudcroft and Mayhill, NM. We do maintain a presence on Facebook where we publish updates and information about what we do and how some of our users have been using our services. Finally, we have a blog that we update now and then. 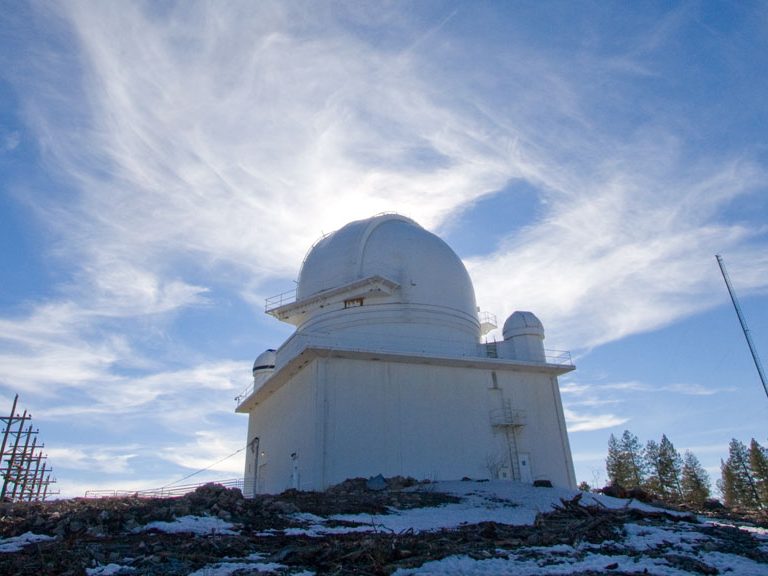 We are in the process of finalizing setup of a professional-grade One Meter telescope at the Tzec Maun Observatory in Cloudcroft, NM. This is an f/8 instrument produced by EOS Technologies, Inc., with a 1 meter primary and a 24 centimeter SiC secondary mounted on a high-speed tip/tilt unit from Physik Instrumente (PI) GmbH & Co. for doing AO corrections. More information about this effort can be found in our Engineering Blog. The Takahashi FSQ-106ED has a one-shot color camera. Images are taken in RAW mode, and will need to be de-bayered by the user (e.g., with MaxIm DL or PixInsight). RAW images are useful for intermediate and advanced users. The Takahashi Epsilon 180 Corrected Newtonian is combined with a Canon 7D DSLR. It features a very fast speed (f/2.8) using an ED (Extra-low Dispersion) corrector. This setup features Color Snap-Shot Astronomy software. It is easy for new students to learn how to use. The primry end result is a color JPG image of the student images. 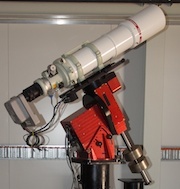 The Takahashi TOA-150 is a 6" Refractor. The camera is an SBIG STL-6303 with a filter wheel. Filters include Luminance, Red, Green, Blue, as well as narrow-band filters: Hydrogen-alpha, Sulfur-II, and Oxygen-III. This setup delivers FITS images which can be processed in programs such as MaxIm DL, PixInsight, CCDStack, etc. To make color images, you must combine the individual filtered images into RGB images.